Stanley Goddard - Edmonton's Burial & Cremation Professionals | Trinity Funeral Home Ltd. He will be missed by his children; Lorraine Goddard, Blanche Tremblay, Randy Goddard, Blaine Dyck and Dwight Petasnick; His Grandchildren and Great Grandchildren; His sisters; Betty-Ann & John Dziengielski, Maxine & Miles Bayham and Donna & Larry Laliberte, extended family and friends. Also, Donna Goddard and Eileen Lee. Predeceased by his parents, Reginald Goddard and Myrtle Rya and son Wes Dyck, as well as Orval Goddard, Donny Goddard and Doreen Alexy. You were a big part of our lives and have been greatly misssed. The kids and I are thankful of the many happy memories we hold dear. Rest in Peace Grandpa Stan…. I have such fun memories of Stanley when Arleen and I went to Rocky Mountain House and visited him at the rodeo. Being a horse lover, I enjoyed the events so much and couldn’t believe Stanley was still doing this. After a few years, the next time with Ken and also Cousin David, we saw that Stanley had to have other drivers, but being there with his horses meant so much…..it was a huge part of his life. I enjoyed meeting Lee and family during hat time as well. I will remember him well and always be thankful for the help he gave Hazel and Ken in their later years. He will be missed. I just found out about my dear cousin Stanley passing and I extend my sympathy to his family. I am so sorry that I will never again hear his voice – he used to call me every few months to touch base and I loved talking to him. My sister Cherryl and I went out to a rodeo at Rocky Mountain House in 2009? especially to see Stanley race his chariot. It was a thrill to watch him, and my gosh, he was one of the oldest competitors! We had a few wonderful days there to visit with him and Lee. I will think of him often, with love. My deepest sympathy to his family and friends. 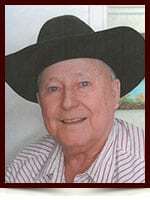 RIP Grandpa Goddard , You are with dad now may you both RIP forever.